Finding the appropriate data warehousing and Business Intelligence (BI) platforms that can understand and address your business concerns, priorities, and needs is a daunting task. Specifically, the ones that can have cohesive approaches in generating and deploying your data. With the development of new technologies, new hype cycles take place, and businesses set out to grab the new business opportunities that the technologies have brought. They promise you bigger and better solutions. However, all services cannot be of equal worth to your business—your irreplaceable time and resources. Some exceed your expectations and some even don’t stand upto their promises. But, how do you know which of the services are better than others? How do you differentiate their capabilities and the areas of their expertise? This is where comes your research on the track records of the companies. A bit of data and cross-checking. Going through the customer reviews and testimonials can offer you a peephole into their business. Thanks to the ubiquitous digitization of the market and industries, data has become an important source of information for keeping your business steady and upfront. However, adaptation of the right data lifecycle management strategies is vital to ensure that you have the correct and actionable information. You can achieve this goal only by teaming up with the right database management enterprises, and when it comes to data lifecycle management and BI, it usually involves—unless you have an overlapping infrastructure—a tripartite collaboration, i.e. your business, a data-warehousing company, and a business intelligence platform. Present trends clearly indicate that IT industry is going to see more diversification in the areas of data management and business intelligence. Rather than becoming a jack-of-all-trades, companies today tend to define their areas of expertise and offer advanced services to the specific clients with the specific needs. This has not only helped to upgrade the expertise level of the related companies but also has led to increased efficiency, making it easier to meet higher levels of customer satisfaction. We don’t need to look elsewhere to give you a good example of an expert player in the diverse area of data management. Grepsr itself is the most fitting example. 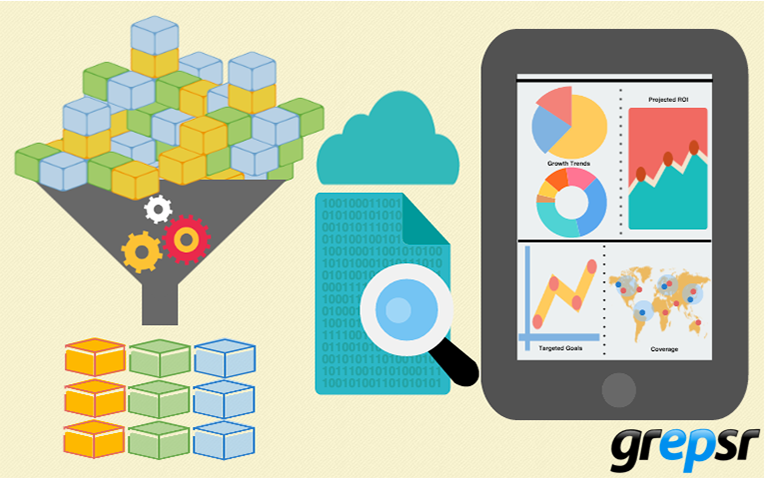 Data Extraction for BI: How Does Grepsr Do it Better? When it comes to web crawling and data extraction, Grepsr knows the nuts and bolts of the trade. Although business intelligence is not our cup of tea, we know what it takes for the most effective business intelligence. The most reliable and relevant data. We are good at scraping, crunching, and collecting web data and converting it into the easily accessible, transferable, and integrable datasets so that our clients—be it businesses or BI platforms—can tweak, manipulate, or transform the datasets to meet their needs. In fact, no matter how smart a business intelligence platform is and no matter how good tools and technologies they apply, they won’t be able to come up with the correct results unless the datasets are accurate and reliable. Grepsr has worked for quite some time now with the clients who need data for integration and analysis. It has excelled in the jobs related to extracting the most relevant web data from various sources of unstructured data and in organizing the data in the ready-for-use structures. The products are designed in the most convenient structures so that they can be converted to any desirable formats, integrated to the new systems, and uploaded to the BI tools and applications for an immediate outcome. Additionally, Grepsr has recently added Grepsr Online Data Store which makes a wide array of business data available in the most convenient formats. Our clients can visit the virtual store around the clock and pay, grab, and go. The most important factors that often play a decisive role in finding the right BI service are your business requirements and preferences. We have seen that our clients often switch from one BI platform to another depending on what they need and what the BI platforms offer. Businesses have different requirements at different stages of their business processes. As different game players have different capabilities, the most appropriate strategy in BI is to employ the best players of the games. Every year, Granter publishes Magic Quadrant for BI in which both the traditional and disruptive BI platforms are evaluated according to their efficiency and service qualities. Grepsr has had the opportunity of woking with some of the top-tire BI platforms, and our clients usually connect our services with those of the renowned BI platforms that have been disruptive in their field. BI platforms are playing a crucial role in driving the market forward in a rapid scale. 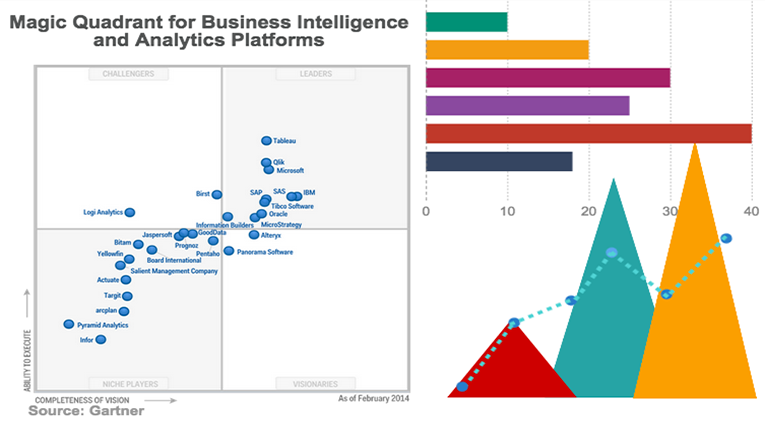 With the right data extraction and BI platforms working on their behalf, business today can see all the hidden information on their BI dashboard in fascinating images and in vivid colors. Certainly, the value of collaboration across the businesses has grown bigger.